The Spidertrax Blog » Badlands schedule of events released. Home > Badlands UMC, Ultra4	> Badlands schedule of events released. Badlands schedule of events released. 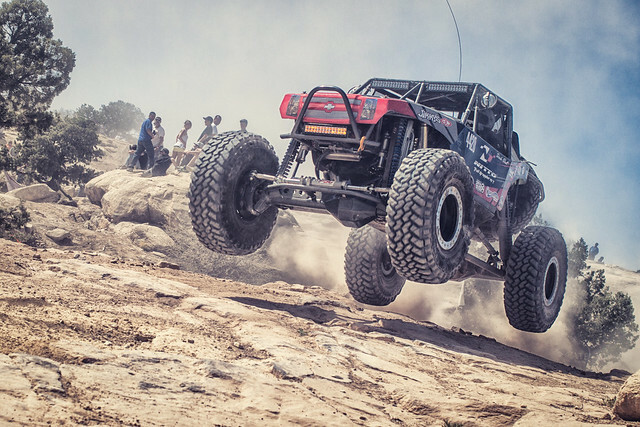 More Ultra4 action heading your way, as teams soon hit the road for Badlands Off Road Park. We’ve received the following schedule of events yesterday, and yes the times are correct. This will be a dusk / night event for Ultra4s, mixing up the usual daytime action. We’ll be there in typical fashion, providing photos for the official Ultra4 live coverage and hopefully coming back with a few more photos to share here. More details to follow. 5:00PM – 9:00PM – Drivers may practice. Please note drivers must fill out Badlands paperwork before any driving in the park. Gate will remain open throughout the night for teams to camp. Any practice/pre-running after 10PM or without paperwork filled out will result in disqualification. 9:00AM – Badlands Park Open – Park is open to the public. Children, motorcycles, quads and UTVs will all be using the park. Absolutely NO pre-running allowed. Any racers found pre-running will be disqualified. 5:30PM – Driver Parade through Attica, IN – All Ultra4 drivers encouraged to attend be ready at 5 to leave from the park. Drivers must be registered for the parade. that can be done by lisa if you want to take part in the parade please email lisa @badlandsoffroad.com. If they want to be part of the downtown festival. Contact Lisa. 7:00-10:00PM – Badlands is allowing drivers to camp on site at the park. Gate will remain open throughout the night for teams to camp. Any practice/pre-running after 10PM or without paperwork filled out will result in disqualification. 7:15PM – Start of 4400 and 4500 Ultra4 race – 2 hour race, anticipate 20 minutes a lap with fast whoop sections, technical rock sections, narrow wooded areas (like Rausch Creek). 7:30 PM – Band and Bar open on site for fans while watching racing.